AMMONNEWS - A Jordan investment conference taking place in London in February could help raise soft loans and grants tied to reforms as the country forges ahead with plans to transform its debt-saddled economy, Britain's ambassador to Jordan said. The UK and Jordan are inviting about 60 countries and international organisations, including the International Monetary Fund and the World Bank, and as many as 300 businesses to take part in the Growth and Opportunity conference that will be held on February 28. “The conference is part of a much wider initiative which we are calling the London Initiative to support the economic transformation of Jordan to a more private sector focused economy which is even more open and welcoming to business,” Edward Oakden told The National in an interview in Abu Dhabi. Jordan’s economy is hobbled by a high level of public debt of about 95 per cent of gross domestic product, according to the IMF. The country has the second highest share of refugees compared to its population in the world with 89 refugees per 1,000 inhabitants, according to the United Nations High Commissioner for Refugees. Already host to Palestinian and Iraqi refugees, the burden of hosting around 700,000 Syrian refugees has exacerbated existing challenges. The resource-barren country imports more than 90 per cent of its energy needs and relies on foreign aid, grants and remittances to prop up its economy. The oil price slump since mid-2014 reduced remittance flows to the country from thousands of Jordanians residing in the energy-rich Arabian Gulf. In June Arabian Gulf states pledged $2.5 billion in aid to Jordan. The five-year aid package from Saudi Arabia, Kuwait and the UAE is directed at helping stabilise the kingdom's economy. “There will be a continued hope that the UAE and other countries will continue to support Jordan in its journey of economic transformation but this will be a partnership in which Jordan will commit to more reform and the international community will provide more support,” said Mr Oakden. Jordan has been implementing a series of reforms to help contain the fiscal deficit and lower its debt, by amending income tax levels and increasing the sales tax. In 2016, Jordan agreed with the IMF on a three-year economic programme to access $723 million in aid aimed at controlling the country’s deteriorating finances. The plan aims to lower the public debt ratio to 77 per cent of GDP by 2021. The time is ripe for the kingdom to undertake reforms aimed at boosting growth, creating jobs for a growing population and attracting foreign direct investment, Mr Oakden said. Jordan needs to generate an annual growth rate of 5 to 6 per cent to keep up with the growing population, but expansion has hovered around 2 per cent in the last few years, below the 5.2 per cent average achieved between 2000 and 2014. That’s why the conference will not just be about pledging of aid, but a venue to showcase strategic projects that could attract foreign businesses to invest and operate in Jordan as well as providing soft loans and grants. The conference will be structured around four pillars, the ambassador said. The first pillar includes putting in place “economic reforms that will enable the private sector to flourish and create more fiscal headroom,” in conjunction with other organisations such as the World Bank and the IMF, Mr Oakden said. The World Bank and the Jordanian government have created an economic transformation plan, yet to be made public, which has identified key structural reforms that need to take place to improve the business environment. Key sectors that can woo foreign investment are tourism, financial services, education, healthcare, renewables, and high tech agriculture among others. The IMF is about to undertake a mission to Jordan that will help in assessing its needs, he added. “Jordan can act as the Arabic speaking back office to the Gulf and can also act as the platform for investment into Iraq,” Mr Oakden said. The second pillar is about putting Jordan’s debt on “a more sustainable” path and reducing the burden of debt repayments on government expenditure. The third pillar is identifying key projects to boost growth and prepare them in a way that will attract private investment. The fourth pillar is to improve the business-to-business environment to make it easier for Jordanian and foreign companies to invest in the economy. 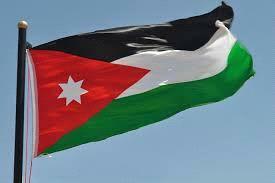 “The Jordanian government has both agreed and proposed itself that it should set up its own monitoring implementation organisation to follow up mechanisms and ensure commitments made both by the donors and by the Jordanian authorities are both followed through and implemented,” he added.